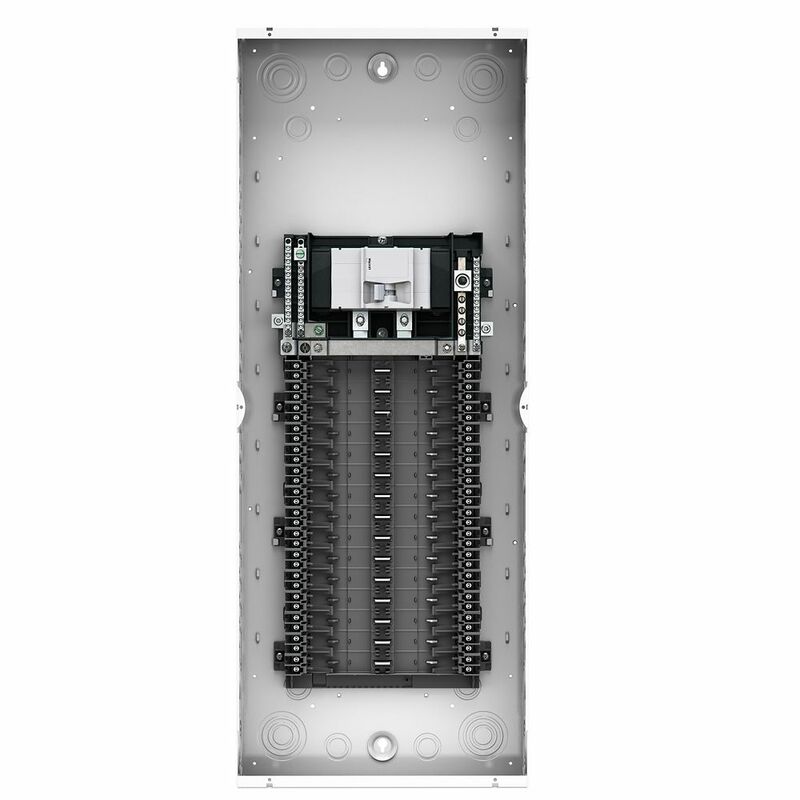 Leviton Indoor Load Centers are easy to install and feature a white enclosure for a modern, appealing unit. All hot and neutral wires terminate at custom lugs in the panel, not at the circuit breaker, so the entire panel can be wired at rough-in without circuit breakers installed. Leaving the option of having the circuit breakers easily plugged-on at final installation. An optional observation window in the cover allows at-a-glance operating status of all the circuit breakers. The UNIDOOR PLUS shower enclosure from DreamLine is perfectly designed to accommodate today's trends. It has a classic frameless design with three hardware finish options helping it enhance any bathroom style on any budget. With an incredible range of sizes to accommodate finished/tiled shower openings from 23 to 61 inches wide the versatile UNIDOOR PLUS shower enclosure adds an extra splash of class with an anodized aluminum U-channel. The UNIDOOR PLUS shower enclosure combines premium 3/8-in thick ANSI certified tempered glass with a sleek frameless design for the look of custom glass at an unparalleled value. With clean lines, modern accents, an upscale look and a choice of clear or frosted band privacy glass, the UNIDOOR PLUS shower enclosure adds a touch of timeless style to any bathroom space. NOTE: DreamLine shower bases will always be larger approximately 2-in than the corresponding DreamLine shower enclosures/doors. Leviton offers a full line of accessories to meet every need when installing the Leviton Load Center. Locking devices, lugs, ground and neutral bar kits, conduit hubs, sealing rings and more are all available to ensure an accurate and quick installation. 100A 120/240V 20 Circuit 20 Spaces Indoor Load Center and Door with Main Breaker Leviton Indoor Load Centers are easy to install and feature a white enclosure for a modern, appealing unit. All hot and neutral wires terminate at custom lugs in the panel, not at the circuit breaker, so the entire panel can be wired at rough-in without circuit breakers installed. Leaving the option of having the circuit breakers easily plugged-on at final installation. An optional observation window in the cover allows at-a-glance operating status of all the circuit breakers.